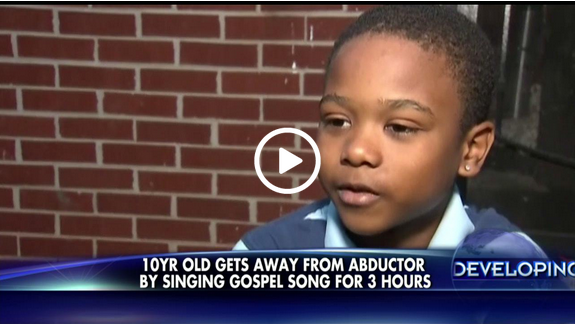 Kidnapper Releases 10 Year Old Who Won’t Stop Singing Gospel Song. 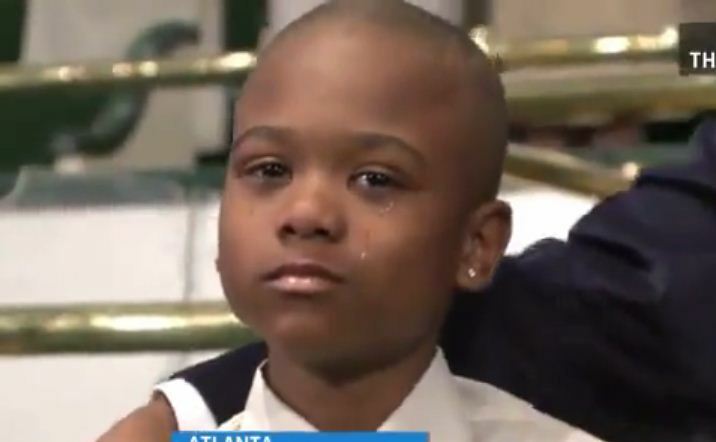 It is said that a gospel song saved 10-year-old Willie Myrick from his kidnapper. Myrick, from Atlanta, was in his front yard when he saw money on the ground and went to pick it up. As soon as he bent down to pick up the money, somebody grabbed him and threw him in their car. “He told me he didn’t want to hear a word from me”, Myrick said. So instead of talking the little boy decided to sing a gospel song called “Every Praise.” The kidnapper continued to tell Myrick to shut up, but he just kept on singing. He sang his little heart out for three full hours. The kidnapper could not take it anymore and let him out of the car. The little boy ran to the first house that he saw and asked to call his guardian. Police were called out and checked on the boy. They searched for several days for the suspect, but still have no leads. 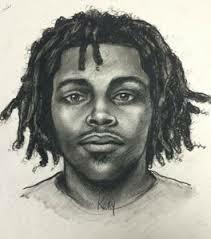 They hope that this composite sketch will help lead to his arrest. Gospel singer Hezekiah Walker, the gospel singer of “Every Praise”, invited Myrick to sing the song with him. They both met and it was a real honor for Walker. Why Does Your Dog Stare At You When He Poops? © 2019 DailyBuzzLive.com. All rights reserved.